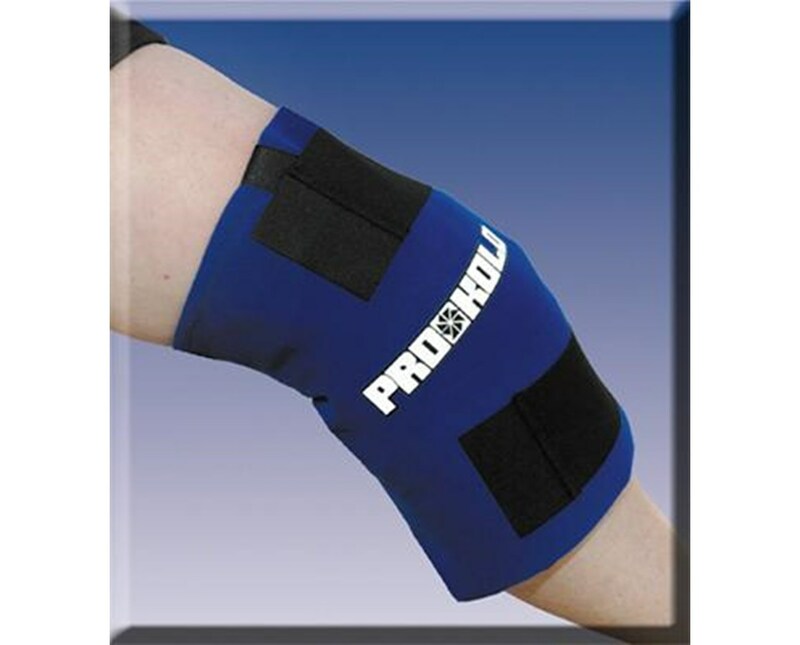 Pro-Kold's Soft Stuff Knee Wrap is frequently prescribed for use after arthroscopic knee surgery. It is also great for temporary pain relief for minor sports injuries, as well as sprains and strains. The wrap is durable, reusable, machine washable and the Soft Stuff insert is removable. With the additional insert, keep one in the wrap and the other in the freezer ready for continuous icing. The insert features Ice Mat pillows (purified water with food-grade freezing agents) in a specially formulated, non-toxic gel encased in a polypropylene bag. The outer layer is a nylon velvet loop material, and the inner layer is made with Ultrawick fabric, which wicks moisture and has antimicrobial protection to control bacterial growth on the wrap. The wrap also features attached latex-free elastic straps with hook tabs to conveniently keep the wrap in place and provide comfortable and controllable compression. The Pro-Kold Knee Wrap will provide up to 2 hours of therapeutic ice treatment without all the water mess. 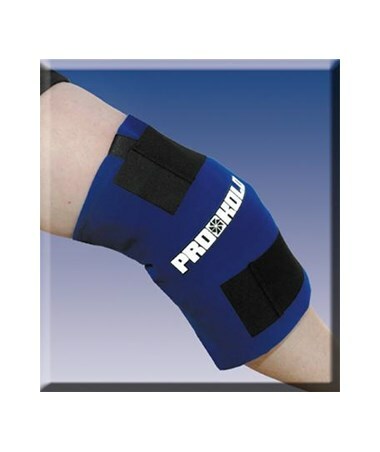 We offer Pro-Kold's Soft Stuff Knee Wrap with 1 or 2 double inserts. Select from the drop down menu above and order online direct by clicking "add to cart!"